Step-5: Add a Webpage and Design for Show Data in Gridview & Export Selected rows to Excel File. 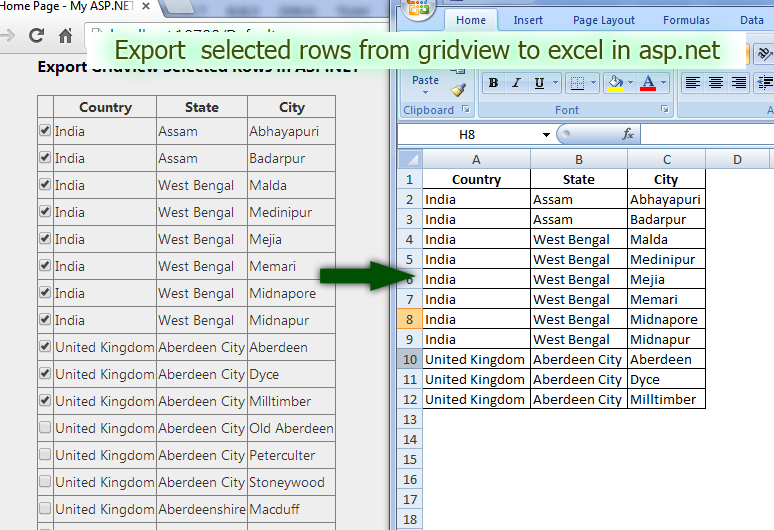 Step-7: Write below code in button click event for export Selected row from gridview to Excel File. Steps for import / export database data from/to CSV file. Steps for import / export database data from/to XML file. How to import / export database data from/to XML file.